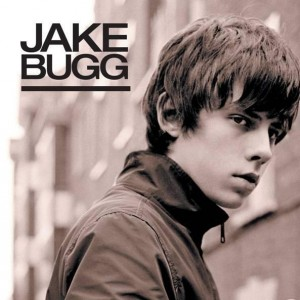 One of my favorite's of the year, Jake Bugg's Lightning Bolt has just been re-released, I hope this time around the song gets higher than the UK no 88 that it reached earlier in the year. Bugg was born in Nottingham England he was chosen by the BBC to appear on their "Introducing" stage at the 2011 Glastonbury Festival aged 17, and because of this was given a contract by Mercury Records. His songs were then placed on various BBC Radio play lists and one of them, "Country Song", was selected for use in a national TV beer commercial for Greene King IPA. In August 2012 Bugg was a supporting act for Noel Gallagher's High Flying Birds at Belsonic Music Festival, Belfast. On 22 May 2012, Bugg appeared on the BBC music programme Later... with Jools Holland. On 1 October 2012, he performed live on the BBC Radio 6 Music programme Live at Maida Vale. Bugg's debut album was released on 15 October 2012. Talking about Bugg and his debut Clash magazine hailed the "precocious talent fusing retro folk with blistering contemporary rock riffs". Bugg is great and will grow and grow. Seen as you like music you should check out a couple of our Glasgow bands just now. Two great sounding groups, I do like Admiral Fallow! I was at Admiral Fallow two weeks back in the Barrowland and they were brilliant. Fatherson were the support that night as well. He's not half bad here, sweet little track. Not sure how much of it I could take in one sitting, but that's what curiosity is for right? I see your daughter is thrilled that old Dad finally gets this! Nice track Ray. Cheers Joe, nice to have you here! !